after some test glides in the garden to find the C of G before I finish it any further with knock off profile get engines and painting. 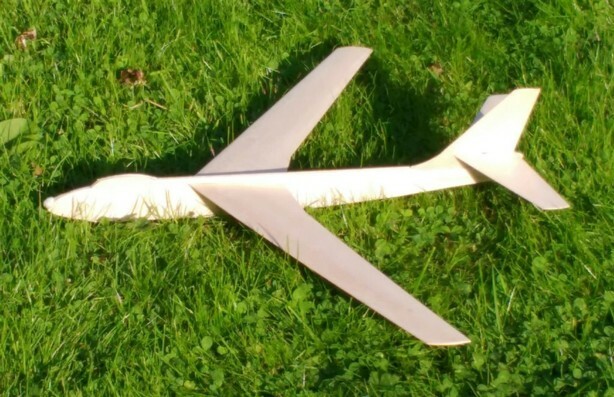 I was inspired to built it after a pal asked me to fit a Rapier to his Bill Dean's Vulture designed for the Jetex 50 and on its first flight at Salisbury Plain last week it flew amazingly well but sadly we lost it in the uncut Mayweed. The first time I saw the Vulture I realised Bill Dean was heavily influenced by the B47 and thought it would be good to go the whole hog as it were. My pal has built another one already and when I get it to fit the Rapier and downthrust tab I will add it here. Here is my pal Pete's replacement Vulture. Bill Dean designed originally it for catapult of Jetex 50 power, the Jetex motor was side mounted in a very forward position just hidden by the wing leading edge, not where we would put it today. You can readily see the Stratojet influence. I will add a L2 Rapier under the belly just ahead of the C.G to lose some nose weight and add a downthrust tab behind it, pics to follow soon. Here is a better pic of the Stratojet which shows the knock off profile engines with some spares I have already cut as I am sure to lose some. The motors are quite snug yet seem to flick off nicely when knocked on the nose as in a hard arrival. 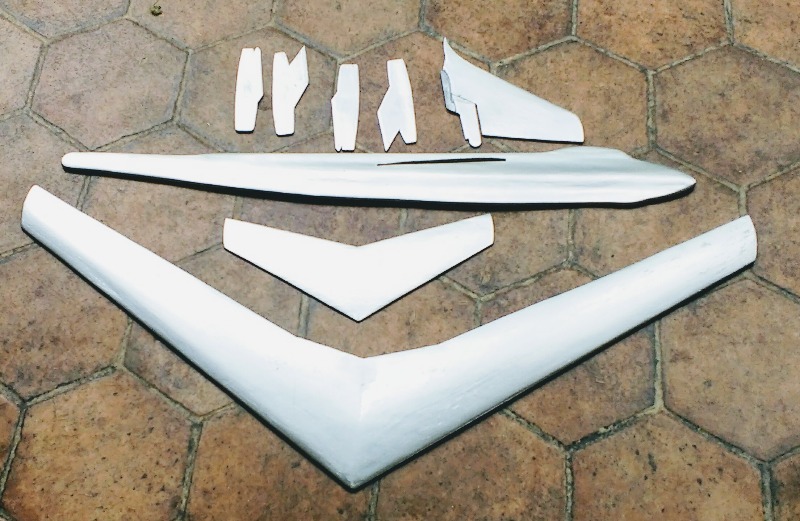 The mount rails for engine pylons are simply hard 1/16th square balsa with the groove sides hardened with cyano as will be the tops of the pylons. The wingspan is 19" and so far it weighs 18g without the Rapier or any finishing. 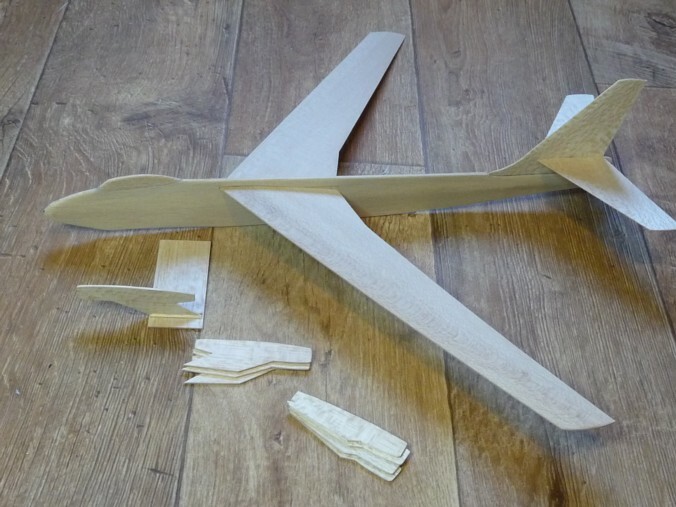 and I can even, for a small fee, prepare a 'kit of balsa parts'. This model should go beautifully with the latest Rapier L-2LT motors and would look a real treat with a bit more decoration (but please, no Blu-Tac)! 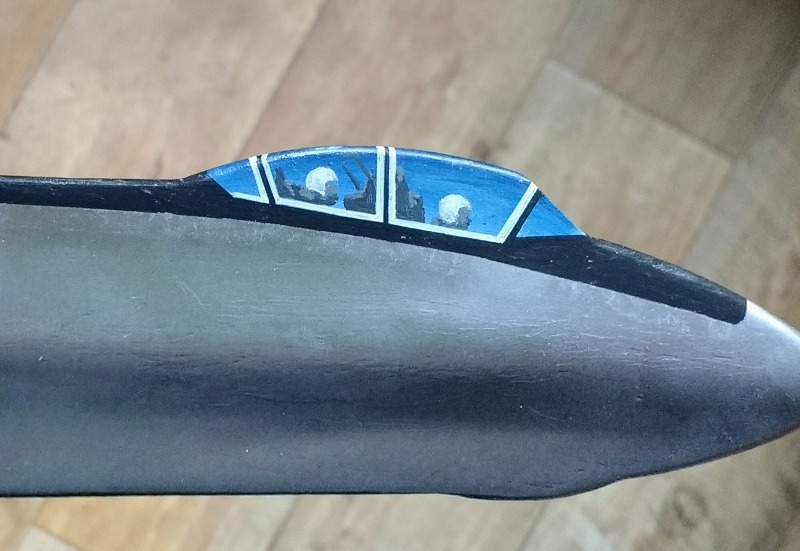 At last I have got the silver painting done on the Stratojet, it is nice and reflective as you can see but I have some worries that it may be a bit fragile in use, possibly due to going straight onto sanding sealer even though it smells a bit like it is cellulose based, we will have to see. The paint is a floral spray made by Oasis and the rattle cans are available here in the UK. It has taken a lot of rubbing down to get this finish however it would need to be redone again to get the finish I would really like as there are flaws when inspected close up, but as I have rubbed the various coats down several time I have run out of patience. The weight as you see it is 28.75g so that is roughly 10g of paint and sanding sealer. Onto the cockpit painting, insignia details and final assembly next. 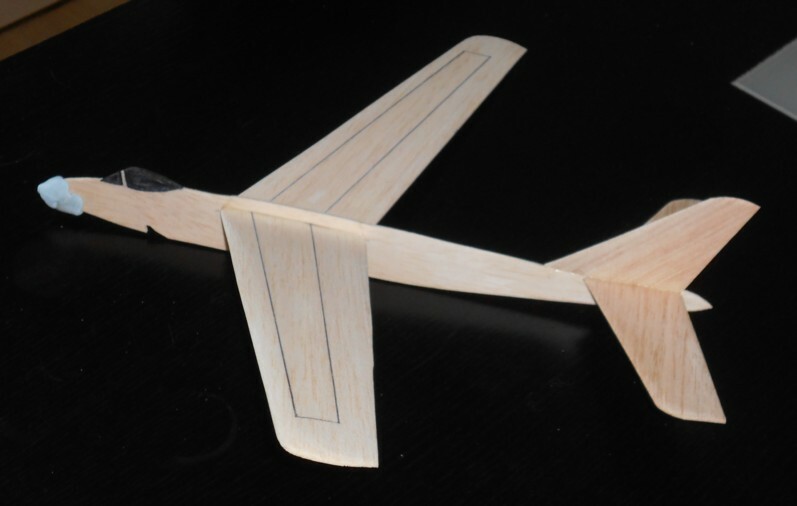 Attached is the Aeromodeller plan for a catpult glider, it is about the same size as mine and wish I had found it earlier, it would have saved a lot of work. I've now painted the cockpit canopy and some pilots on both sides using Tamiya acylics colours, it looks a bit rough in this close up but the helmets are only 5mm in diameter!